I just found this great deal. It's reduced from £11.99 to £5.99! You can get it from www.aldi.co.uk. 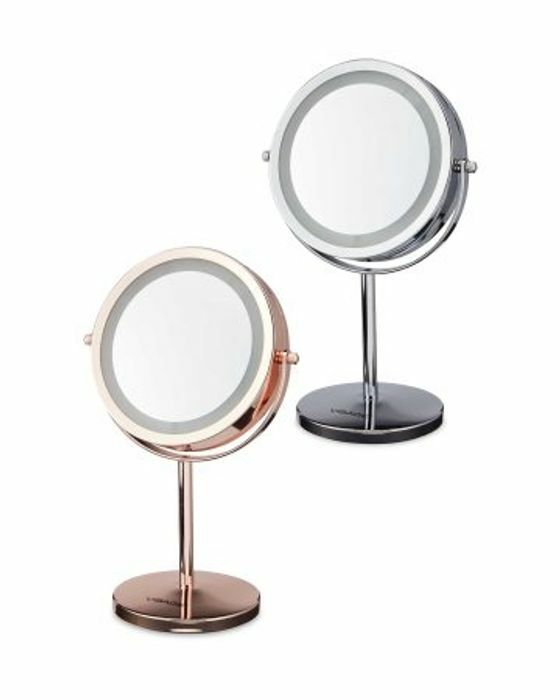 Get ready to leave the house in style with this Visage Contemporary Table Mirror. The two-toned lights around the outside mean that you can achieve a high quality makeup or hair look, and feel great fabulous as you get ready. FREE STANDARD DELIVERY OVER £20. This is a good deal with excellent price!! We have 791 Aldi deals and 31 Aldi discount codes on Latest Deals. What do you think of this Aldi deal?